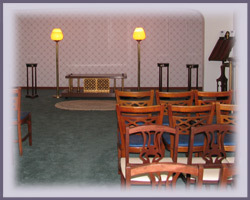 Here at the Jon A. Meese Funeral Home, you will find a comfortable and spacious interior, which is easily accessible. We offer professional experience and dedication to personal concerns. The funeral home is a completely handicapped accessible facility. We are always available to discuss various services or to provide guidance for our Pre-Need program. We specialize in honoring the memory of a loved one in the most personal way. 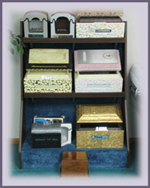 We help family and friends remember the magic of life with a personalized funeral service. Maybe she was a singer or enjoyed dancing. Maybe he was a little league coach or simply a wonderful husband and father. We can play a favorite song or display memory items. Every life has a story and we can arrange a unique service that tells that story in a dignified and comforting way. It means a lot to family and friends at a difficult time. We will contact churches, newspapers, insurance companies, Veteran’s Affairs, Social Security, etc. Comfortable facility with ample parking for your convenience. Funeral records and histories from 1952 thru 1984 for Gray Funeral Home and records and histories from 1993 to Present for Jon A. Meese Funeral Home are available upon request.